Project Description for the 2017-2018 academic year: Create a sustainability strategy for two Koombook Programs in Coaque, Ecuador to assure that educational, professional and cultural outcomes are successfully achieved and tracked. Subsequently, prepare the expansion of the Koombook Program in Coaque (3 additional e-libraries) and/or in Ecuador with local NGO Avanti. Background: ​Libraries Without Borders encourages sustainable development around the world by promoting innovative educational programs. In order to achieve this, LWB has several programs that expand access to information. The Koombook Program is one of them. The Koombook, a digital library server, consists of a portable device that can be preloaded with educational content. Examples of past preloaded content include Khan Academy and Wikipedia. The Koombook creates a WiFi hotspot that allows users to access the content without internet connection. It is implemented in communities with limited technology, resources, and connection to the internet. The purpose of the Koombook Program is to increase awareness and education by spreading knowledge. In January 2016, Tufts ID partnered with LWB to begin the implementation of an Ecuadorian Koombook Program. Ecuador has a significant need for educational and technological tools, as many isolated communities are deprived of information and resources. Between January and August, the Tufts ID team was guided by LWB in order to work on the process of implementing Koombook Programs in Ecuador. The Tufts ID team developed a review of the educational context of Ecuador, created a stakeholders’ map of the Ecuadorian educational landscape, assessed the viability of implementing Koombook Programs, and reached out to local NGOs in order to form potential partnerships. The team later formed tighter connections with several NGOs, and made a one-week visit to Ecuador in order to formally introduce the Koombook Program and demonstrate its technology. In the trip, the team met with nine NGOs and one university professor. They later decided to begin a partnership with NGO Avanti. 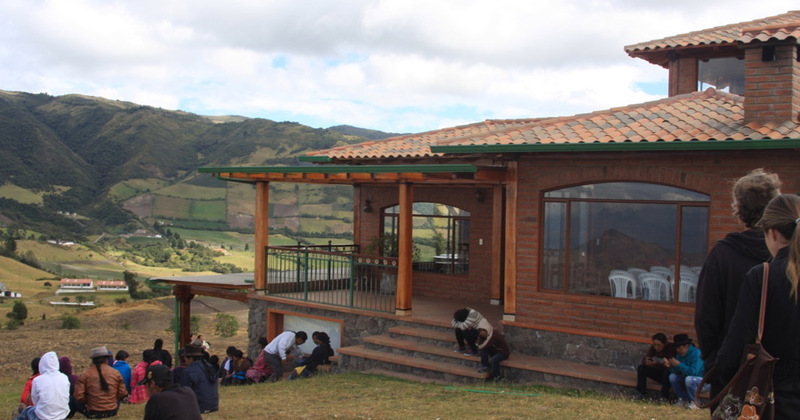 During the 2016-2017 academic year, TID Ecuador worked closely with LWB and Avanti to prepare and implement 2 pilot Koombook Programs in Coaque. In order to implement the programs, TID: 1) gathered community-specific information regarding e-library content preferences, socioeconomic metrics, community needs, 2) engaged in communications with stakeholders in Ecuador and the US to prepare the program implementation, 3) worked on gaining financial support for the program through crowdfunding, grant applications, Tufts events, and private companies. Once the necessary funding was secured and our team had finalized all preparations for the program implementation, 4 Tufts ID members travelled to Coaque, Ecuador to implement 2 pilot Koombook Programs. One was implemented in Coaque’s beach zone and the other in its central zone.